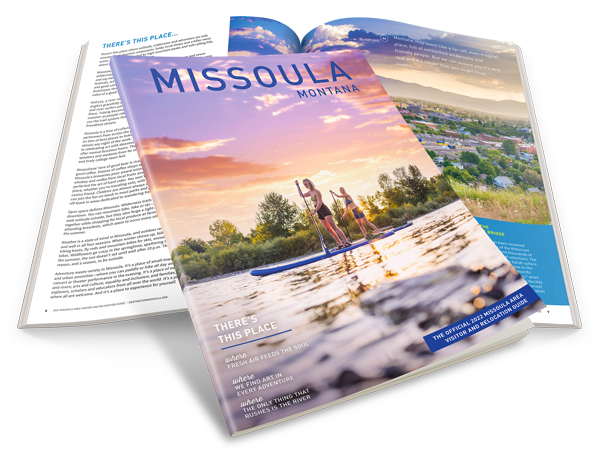 The Missoula International Airport is �The Gateway to Western Montana�. Five airlines are located at the Airport: Alaska/Horizon, Allegiant, Delta, Frontier and United. There are direct flights to 11 major markets (Salt Lake City, Denver, Minneapolis-St. Paul, Chicago, San Francisco, Las Vegas, Los Angeles, Phoenix-Mesa, Atlanta, Portland and Seattle) and connections to thousands of destinations. MSO averages several hundred operations a day from airlines, corporate, general aviation and aerial fire fighting aircraft to cargo and medical flights. MSO is the home to the largest aerial fire fighting depot in the United States, as well as the Museum of Mountain Flying, located east of the main terminal on Aviation Way. The museum is the only one of its kind in the nation, complete with a fully restored Douglas C-47 located inside their spacious new building. Missoula International Airport is Missoula's third airport. In 1938, President Roosevelt authorized WPA funds for the construction of the Missoula County Airport to be located on 1300 acres west of Missoula. When the Airport opened in 1941, it boasted the longest runways in the region and plenty of room for future growth. A new passenger Terminal was constructed in 1954, and in 1961, the new control tower began providing air traffic control services to aircraft flying in and out of the Missoula valley. Named in honor of two of Missoula's heralded aviation pioneers, Bob Johnson and Harry Bell, the Missoula County Airport was officially named Johnson-Bell Field on Memorial Day in 1968. Today, a bronze plaque honoring their service and contributions is located inside the main Terminal. As one of the fastest growing airports in the northwest, MSO continues to experience significant growth in passenger statistics. In 2015, a record-breaking year, MSO served over nearly 640,000 passengers. To help accommodate these increasing passenger numbers, MSO has embarked on a major expansion program. To date, expansion efforts at MSO have yielded increased parking spaces, new taxiways and ramps, advanced lighting and navigation systems, and a new terminal roadway. In 1994, the main passenger terminal was renovated and doubled in size, and in 1998, the Airway Boulevard interchange was completed, providing a direct link from Interstate 90 to the airport. The Airport has two restaurants a full-service restaurant on the main level and a coffee shop with an array of ready-to-go food on the upper level, two gifts shops (one on the main level and one on the upper level), a real estate office, and a travel company. Current projects at MSO include a multi-phase terminal expansion, an advanced new air traffic control tower, and new passenger loading bridges. The Airport is also planning for a new parallel runway, capable of accommodating the increasing numbers of quiet and efficient regional jets that are currently in use.